Rediscover soft, radiant skin with the RapidLash RapidRenew Skin Perfecting Polish, a gentle exfoliator that works to smoothen and brighten the face, neck and décolleté with long-term, continuous effect. 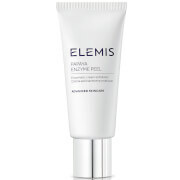 Safe, gentle and effective, the formula utilises both chemical and mechanical exfoliation to promote softer, smoother, brighter skin; its dose of Magnesium Oxide Crystals gently slough away dead skin cells whilst Lime Pearl (a natural source of precious Alpha Hydroxy Acids) helps improve skin exfoliation for a youthful, dewy glow. Helping to reveal your skin's natural radiance, the refining facial polish with antioxidant vitamins will also help to improve the appearance of fine lines, wrinkles and enlarged pores with added Polypeptides. 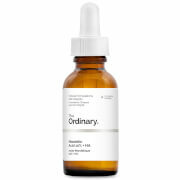 Skin feels smooth and refreshed with a younger, more clarified appearance. 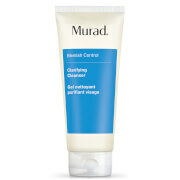 Gently massage a small amount to a cleansed, wet face, neck and décolleté in small, circular motions. Rinse throuroughly with warm water. Follow with your regular beauty routine. PEG-8, Sodium Bicarbonate, Magnesium Oxide, Glycerin, Oleth-20, Trihydroxystearin, PPG-12/SMDI Copolymer, PEG-100 Stearate, Glyceryl Strearate, Microcitrus Australasica Fruit Extract, Pearl Powder, Bromelain, Myristoyl Pentapeptide-8, Limnanthes Alba (Meadowfoam) Seed Oil, Butyrospermum Parkii (Shea) Butter, Tetrahexyldecyl Ascorbate, Retinyl Palmitate, Tocopheryl Acetate, Castoryl Maleate, Dimethicone PEG-8 Meadowfoamate, Menthyl Lactate, PEG-23 Glyceryl Distearate, Diheptyl Succinate, Capryloyl Glycerin/Sebacic Acid Copolymer, BHT, Dipalmitoylethyl Dimonium Chloride, Lauryl Alcohol, Myristyl Alcohol, Water (Aqua/Eau), Alcohol Denat., Fragrance (Parfum).